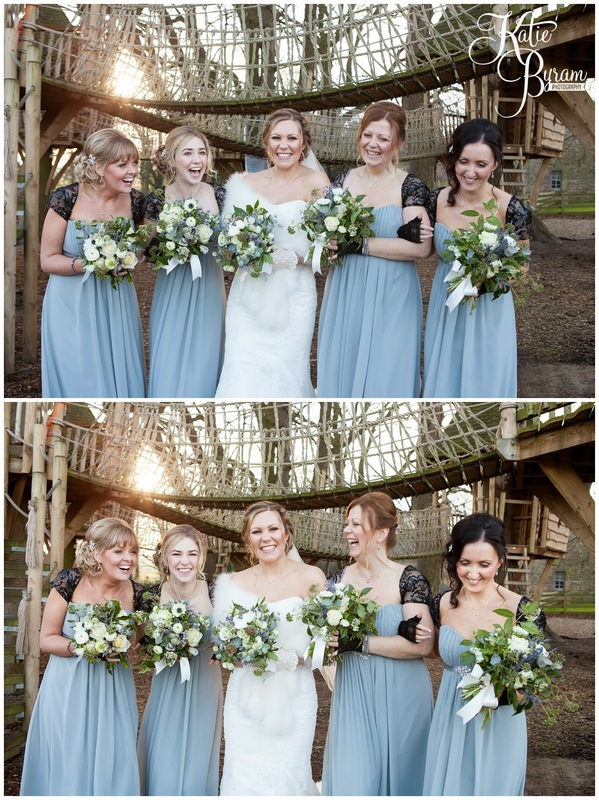 So, when planning your wedding you may think you’ve got everything sorted, suppliers booked, dress bought…. but there’s one fundamental thing when planning your day that can make it a real success, or alternatively, not. I’ve been a wedding photographer for around nine years now, and in that time I’ve photographed many different weddings – different styles, sizes and budgets. I’ve seen how otherwise amazing weddings end up being rushed. The couple feeling thrown from one activity to another and not having time to spend with their guests. Often you are limited by the venue, registrar, or other external factors. I’ve decided to write this post to help with couples planning their day in the hopes it will help you with structuring your big day, to have the most fun and make the most memories with your loved ones! This can depend on the time of year. If you’re getting married in the winter in the UK, and you book your ceremony for anytime after around 2pm, generally you won’t end up with much time at all when it’s light to get photographs outside in your grounds. 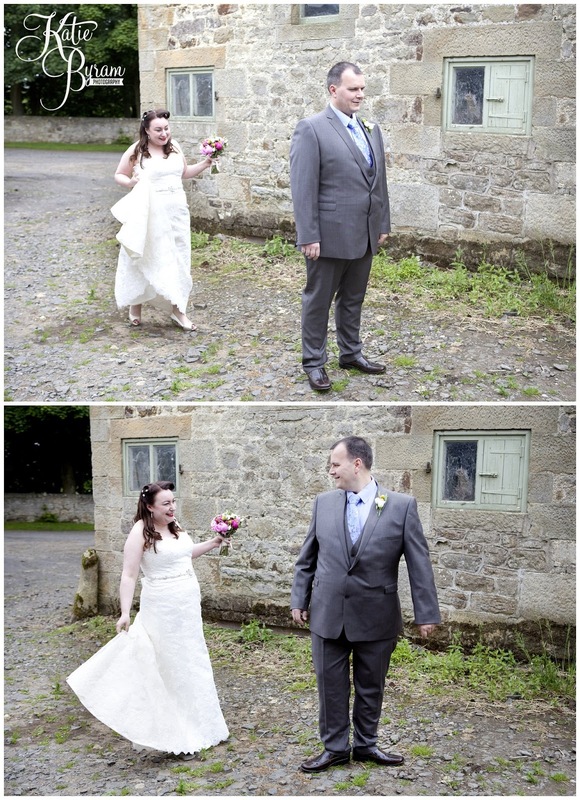 A few years ago, I photographed a wedding where the ceremony was later on in Autumn, and then there was a journey to get to the reception venue. The couple really wanted photographs in their gorgeous country house gardens they’d booked, but that meant rushing back down the aisle, jumping in the car and racing there, running out of the car and grabbing the last of the light. It meant them not having any time to say hello to their guests before they sat down for their meal. When they booked their wedding, they had no idea it would basically be dark before they got to their venue. Check the sunset times and aim to be finished with your ceremony at least two hours before this time, if your ceremony & reception is in the same place, or more if you need travel time too. On the other hand, If you book a morning wedding ceremony, remember it usually takes brides and bridesmaids many hours to get ready for their wedding – with hair and make up artists doing their thing… That could mean a very early start, and if you’re carrying on until late into the evening you may need a nap! In the summer, ceremonies later in the afternoon are great because it can be a little cooler, and the light can be beautiful later on in the day for photographs as well. It also works for couples on a smaller budget where they want a late ceremony and then one meal or a buffet served. Just remember, if you’re then inviting more guests to join you for the evening, to invite them later on, allowing plenty time for your ceremony, drinks reception, group photographs and couples photographs, meal and any speeches or entertainment, plus any travel time between the ceremony and reception, where relevant. 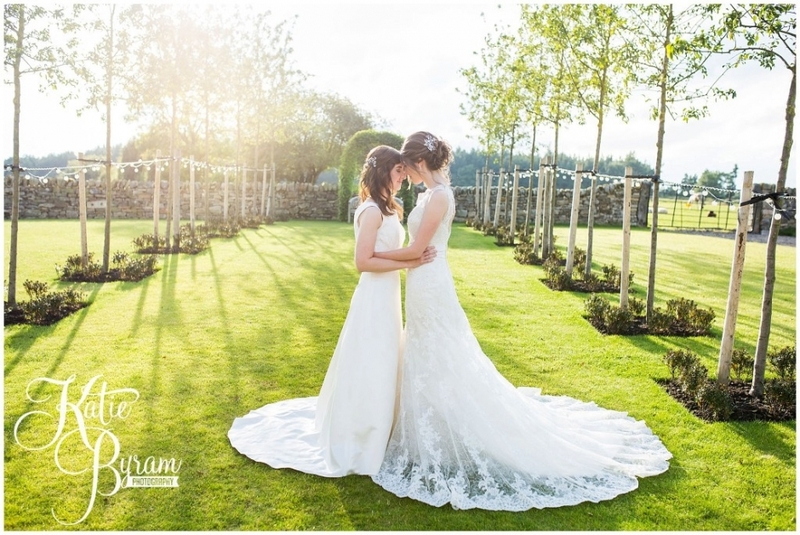 Most people who book me really want a relaxed style of photography and many are having relaxed and informal days. Therefore, it seems simple, but if you want a relaxed day, pad out your timetable with extra time here and there! 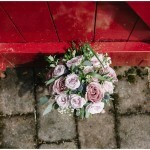 Sometimes unforeseen small hold ups can impact on your day (traffic, someone needing to run back to their house for something, a missing buttonhole, a member of the wedding party needing to go to the loo or change their baby) – adding in extra time will minimise the impact and stress that they have. 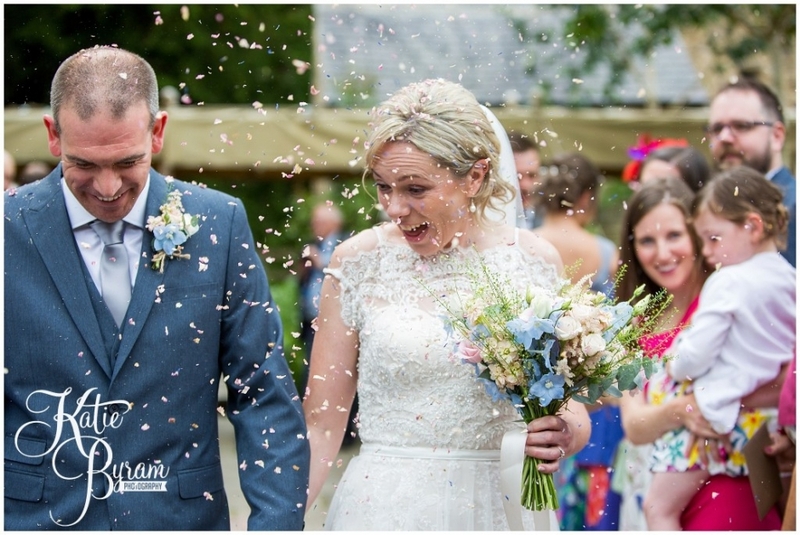 Things take longer than you think – for example it takes at least 15 minutes for your guests to leave the church, ceremony and grab some confetti and get ready to throw it at you! This may seem obvious, but once you are married, your guests will want to come and congratulate you, say hello and give you a hug. 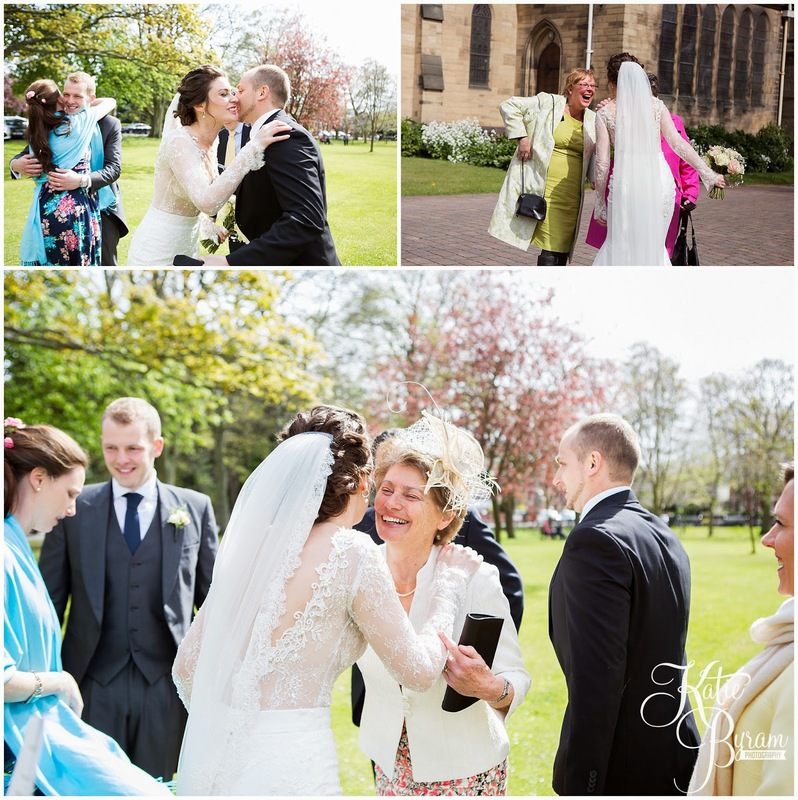 I always advise my couples that after their ceremony (where they are having everything in one venue) they should go and grab a drink and spend some time with their guests, before starting the group photographs. I recommend at minimum 15 minutes for this, but ideally a little longer. Some of my couples have more relaxed entertainment, in between their ceremony and meal, so they allow more time after the ceremony before they start their group photographs. This means I get lots of candid shots of guests having fun, yay! Some couples feel they want to walk out and get straight on with the photographs, I advise against this for the following reasons. Generally this means either the group photographs take much longer anyway because as people step in they will want to come and congratulate you. Also, If I whisk you away straight away for couples photographs it means you don’t even get a chance to say hello or thank the people that have watched you get married, which can make you feel rather uneasy! This is considered the norm in countries like Holland, and in other countries like the USA done fairly regularly. It’s where you and your bride or groom to be, meet up before the wedding ceremony, and have your couples photographs taken then. It’s great if you are stuck for time or light later on. For some this may feel really like going against tradition, but for other couples it works very well. The way I approach them is to put the groom (or the bride) in position and then ask the other person to walk around and then let things unfold. I keep quiet just photographing what is happening, it makes for lovely, natural and emotional photographs. Many times I hear couples worried about their guests being bored, and so overcompensating by booking lots of entertainment or activities. Lots of times, guests are catching up with family and friends they haven’t seen in a while and will be perfectly happy having a drink and a chat for an hour or so. If you’re worried about your guests not knowing each other, there are things you can add to the table to get them chatting like fun quizzes about the couple or similar. Every photographer works differently and i’d advise checking what your photographer does, and how much time he or she may need, possibly even before you book them. I do a full plan in advance with each of my couples, as every wedding is different. I find out their requests and wishes and work to that… However…. in general what I recommend is prioritising a max of 8-10 group photographs, allowing at least 3-4 minutes per group photograph, so that would be 30 minutes time allowed, as an example. For couples photographs I recommend two 15-20 minute slots, one after you’ve said hello to your guests as mentioned above, and one later in the day, after the meal, when the light is either softer, or gone completely for some lovely low light winter photographs. The thing is, I’m not going to write out exactly what you should have for your wedding, because, it’s your wedding, not mine. What will suit couples, will not suit others. My final advice is: book suppliers you feel confident in and have heard good things about. Ask about timings and what they’d recommend. 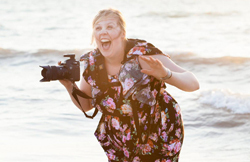 If your wedding venue, photographer or other suppliers tell you that things are going to be running really tight for time, on areas of your wedding, take their advice and see what can be tweaked to give you a little more breathing space. After all, with all the planning and hardwork in preparation for your day, you should feel relaxed and be able to have fun on your day! Images and text copyright Katie Byram Photography and must not be used without permission from the photographer.